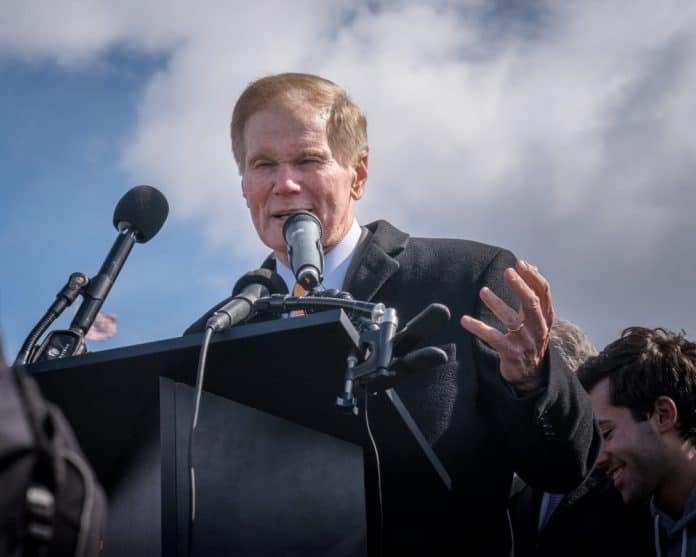 With the primaries and Labor Day now in the rearview mirror, Florida is turning its attention to the general election and a new poll shows the race between U.S. Sen. Bill Nelson, D-Fla., and Republican challenger Gov. Rick Scott deadlocked. On Tuesday, St. Pete Polls released a survey taken for Florida Politics which showed the two candidates knotted together. With only 5 percent of likely voters undecided, Nelson takes 47.4 percent in the poll with Scott right behind him at 47.3 percent. Both candidates have nailed down their party bases with 80 percent of Republicans behind Scott and Nelson taking 77 percent of Democrats. Voter outside the major parties go Nelson’s way with the Democrat getting 51 percent of them while 42 percent back Scott. Scott leads with men and Nelson is ahead with women but neither candidate has a solid edge with either gender. Nelson has commanding leads with voters 50 and younger but Scott has the advantage with older voters. The governor takes 55 percent of white voters while Nelson pulls in 41 percent of them. Nelson takes 77 percent of black voters while 13 percent of them are for Nelson. Hispanics are far more divide with 48 percent of them for Nelson and 47 percent for Scott. Scott leads in North Florida including the Pensacola, Panama City, Tallahassee and Jacksonville areas though Nelson is ahead in Gainesville. The candidates are running close in Central Florida with Nelson up 48 percent to 46 percent in Orlando but Scott ahead 48 percent to 47 percent in the Tampa area. Scott edges Nelson 49 percent to 47 percent in the West Palm Beach area and is ahead 56 percent to 40 percent in Fort Myers. But Nelson is routing Scott in Miami, ahead there 61 percent to 34 percent. The poll of 1,755 likely voters was taken from Aug. 29-Aug. 30 and had a margin of error of +/- 2.3 percent.